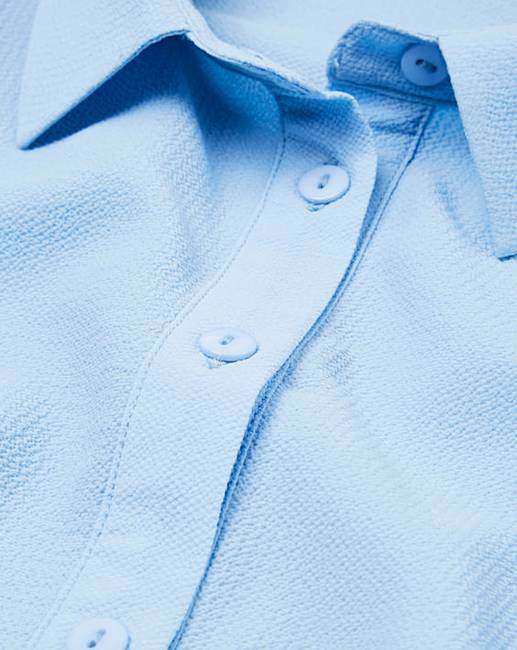 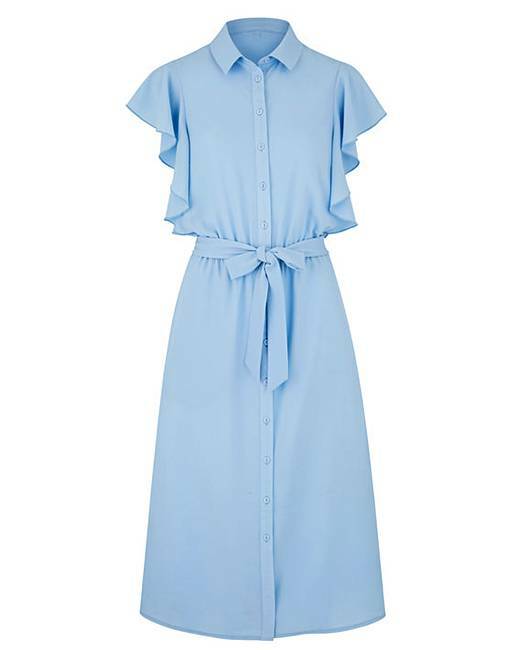 For a stylish silhouette, look no further than this amazing shirt dress. 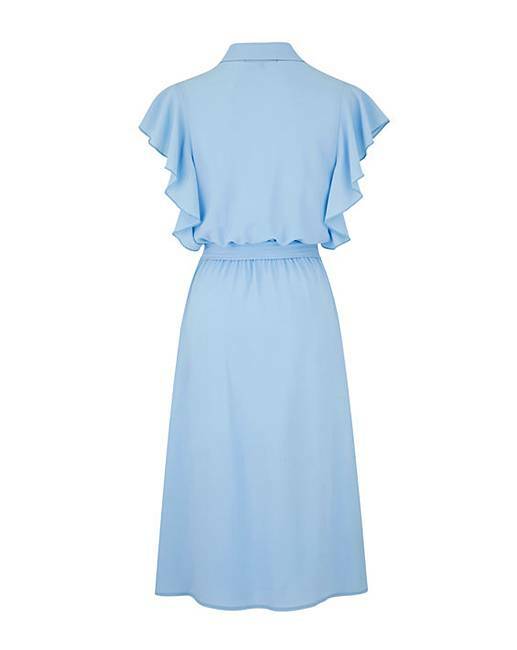 In a woven fabric, this dress is midi length and has lovely flattering frill detailing to the sleeves. 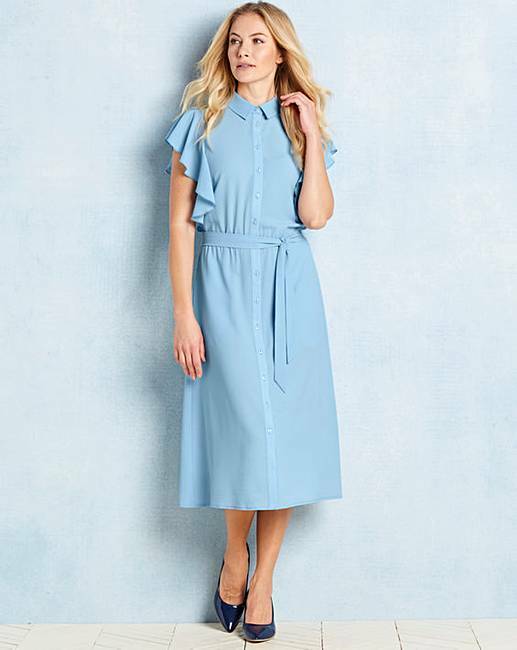 With an elasticated waist for fit, this midi shirt dress features side seam pockets, a collar, and fastens at the front with buttons.